Most travels demand some amount of physical fitness, boost your fitness by exercising in advance. Carry a first aid kit with items such as pain killers, sunscreen, insect repellents, antiseptic cream, anti diarrhoeal medicines, medicines for motion sickness and anti allergics. Get the needed vaccines recommended for the place you are visiting. 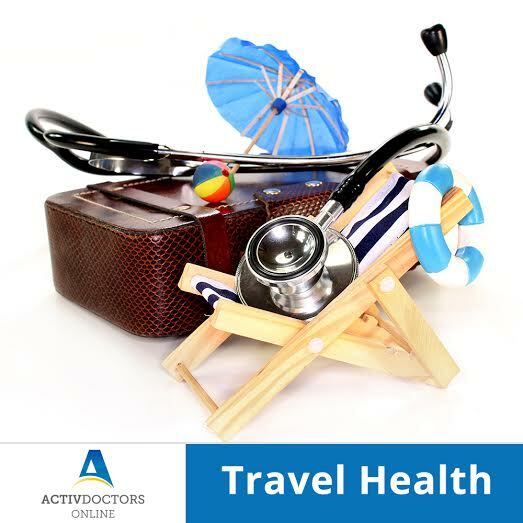 Consult your doctor few weeks in advance for a wellness check up before travelling. Carry a letter or prescription of medicines given by a doctor if you are regularly taking them for any chronic conditions that you may be suffering. Eat foods which are freshly prepared and hygienic. Use DEET or other skin repellents to protect yourself from mosquito bites. Tetanus if you have not received in the last 10 yrs. Yellow fever vaccine for people who travel to South America and Africa where the disease is prevalent. Anti rabies vaccine if you are visiting places where rabies is prevalent or handling animals during the trip. Follow these simple steps and keep yourself healthy and enjoy your travel. Happy and healthy journey will be yours.